Paul Feinberg effectively lays out the case for the pretribulational rapture. There are lots of rapture books that are condescending and use Left Behind rhetoric instead of actual exegesis. This book avoids all of that. In fact, this is probably the best of Zondervan’s Counterpoints series simply because all three views represented (pre, mid, post) are advocated by authors who know each other. They all taught at Trinity, they all believe in some form of immanency, and they all interact with each other in a truly edifying way. All three grant that their view has weaknesses, and that this is a grey area. Yet they all strongly advocate their view, and they interact with the other author’s strong points. Also, the introduction by Reiter is phenomenal. It is the best historical survey of rapture views that I have read, and explains how/why this form of eschatology arrives so late on the scene, comparatively speaking. This is a very, very good book. Michael Vlach realized that most books on dispensationalism practically traffic in misinformation. 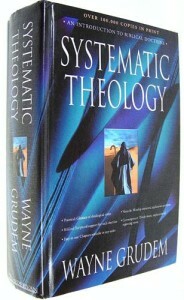 Books by non-dispensationalists tend to be border-line dishonest in their portrayal of dispensational beliefs, and this has not been helped by the fact that many books by dispensationalists make almost no effort to convince the uninformed, but instead seem to be written under the assumption that no non-dispensationalist would ever read them to begin with. Vlach takes a different approach. 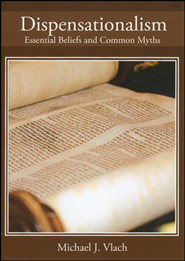 He lays out what he sees as the six essential beliefs of dispensationalism, and shows how those beliefs are biblical. He devotes a section to responding to the misunderstandings of dispensational theology, as well as to the history of it. It is concise, and very helpful. There are other books on these topics as well. Continuity and Discontinuity is an exchange between the leading dispensationalist and covenantal theologians of the 1980’s, edited by John Feinberg. That was back when the two sides were actually talking to each other, and I doubt that a similar book could be written again anytime soon. This is not an entry level book, but as a follow up to any of the books above, it would be quite helpful. Also, MacArthur and Mayhue edited Christ’s Prophetic Plans, where several different authors argue for dispensationalism, pretribulationalism, and premillennialism. If you want to find one book that covers all three topics, then this is it. Are there any specific areas/arguments of any of these (dispensationalism, pretribulationalism, or premillennialism) that you’d like to see covered on this blog?